Faced with evaporating membership and a serious decline in its income stream, the Catholic Church in Oslo, Norway did what any self-respecting welfare scrounger would do, and casually defrauded the state of up to 40.6 million kroner (£3.8 million or $4.8 million) by falsely inflating their membership lists. The Catholic Church, like other Christian churches in Norway, received a state (read Norwegian tax-payer's) subsidy in proportion to its membership. The diocese had claimed their membership had grown recently with a large influx of immigrants from Eastern Europe, especially predominantly Catholic Poland. However, it was found that names had simply been added to their lists for no other reason than because they looked like Catholic names, without even bothering to ask the individuals if they wanted to be added or were indeed Catholic. They found the names in the Oslo telephone directory! This inflated the membership numbers by some 65,000. The church had been reporting a membership of 151,000 but his has now been revised sharply downwards by the Norwegian government to 95,655 in January 2015. We've never done anything illegal or received too much money. We have always recognised that we have made mistakes and had an unfortunate practise in parts of our registration. This was cleaned up a long (time) ago. 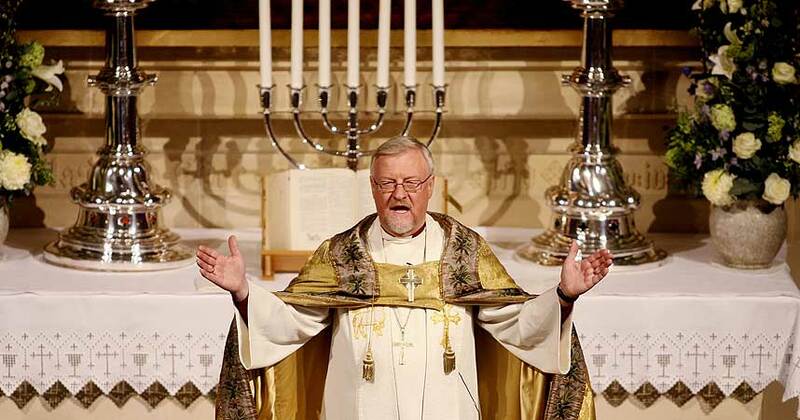 Still protesting it's innocence, the Oslo diocese, under Bishop Ole Christian Kvarme, has been fined one million kroner (£95,000 or $118,000) and faces a bill for repayment of the stolen 40.6 million kroner. A spokesman claimed it was "an unfortunate practise in parts of our registration" but explained that they had cleaned up their act long ago. Well obviously! Copying out pages of a telephone directory is the sort of unfortunate mistake anyone could make! Obviously there wan't any deliberate intent to defraud, after all, good Catholics would never do such a thing! The chief executive officer of the diocese, Thuan cong Pham, has already been charged with aggravated fraud and if the diocese refuses to pay the fine it too will face prosecution. It's good to know God's finances are in such safe and competent hands and the hands of those who will stop at nothing to ensure as much money as possible flows into God's coffers so his clerics can continue to live in the style to which they feel entitled regardless of their inability to attract people into the cult by their moral leadership any more. Amongst the more popular reasons for leaving the Catholic Church are the Church's insistence on persecuting minorities, abusing children and protecting abusers, victimising and demonising gays and insisting that women be regarded as inferior to men. Times are hard in God's own impoverished Catholic Church nowadays. Desperate measures are called for. See also: Norway Catholic church fined over inflating membership for more funding | Guardian.